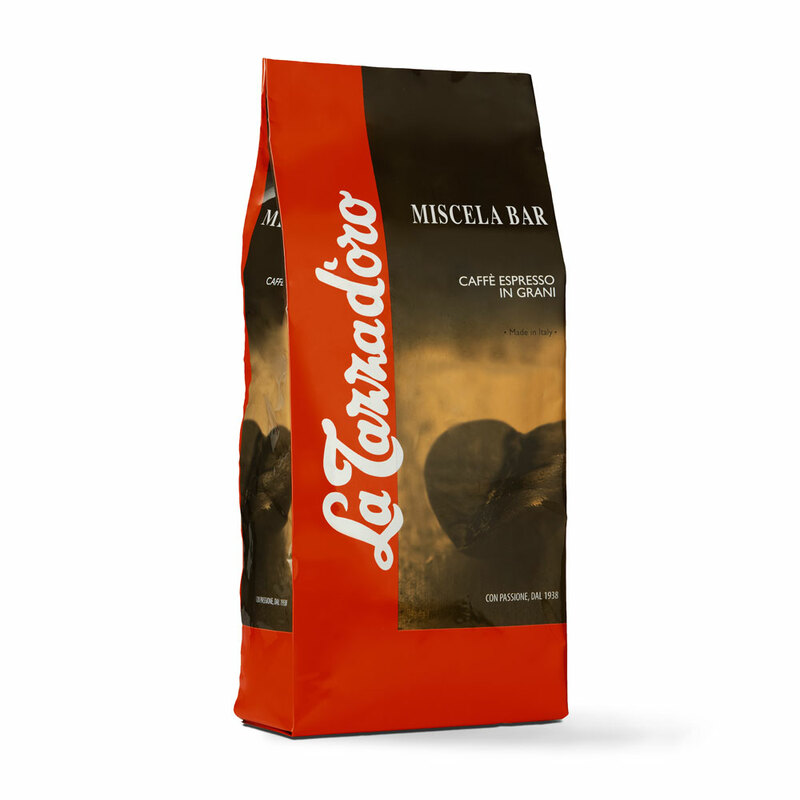 La Tazza d’oro Miscela Bar has a strong traditional taste obtained from the delicate balance of Robusta coffee from India and Arabica beans from Brazil and Ethiopia. The amazing cup result fits in to the most diverse tastes. The blend is grain, a creamy vigorous coffee for those who expect an intense aroma with a strong personality. The medium-full body is characterized by a slight acidity with obvious aromatic and toasted notes. The cup is firm and the aftertaste is pleasant. The homogeneous persistent “crema” is a particular characteristic of this blend. Perfect on its own or after a tasty meal, La Tazza d’oro Miscela Bar is also suitable for the preparation of exquisite cappuccinos and “espresso macchiato”. It's available in packs of 250, 500, and 1000 grams. Find out which other blend might end its journey in your cup.